Our Holiday Bible club will run from Monday 6th to Friday 10th August 2018 from 10.30am - 12.30pm. The children will be taught bible lessons, memory verses take part in quizzes and enjoy fun and games. 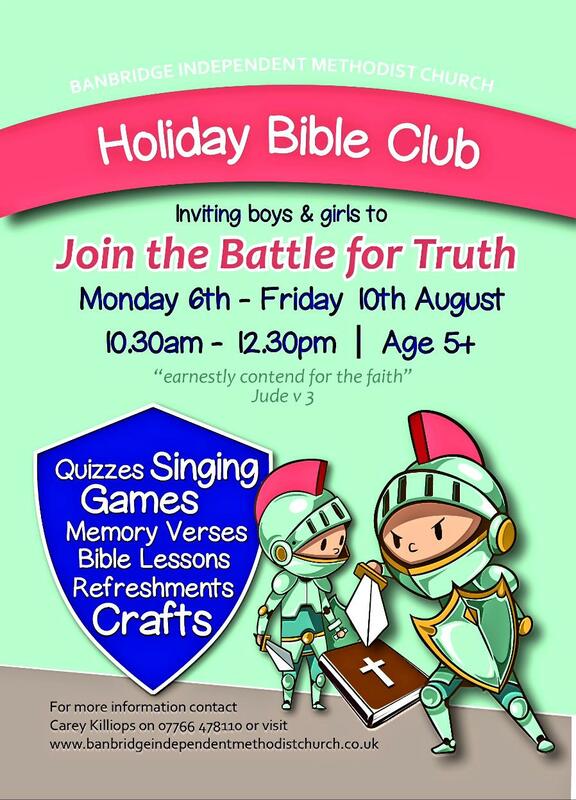 For more information on the Holiday Bible Club please feel free to contact us.